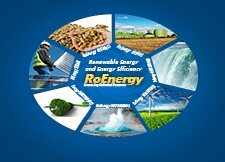 Ministry of Economy released for public debate a proposed emergency ordinance on renewable energy promotion system. C. two green certificates for solar power plants (to provide 4 instead of 6). Recovery of green certificates will be delayed since the 01.01.2017 for plants referred to in subparagraphs a) (hydro) and c) (solar) and since 01.01.2018 for plants referred to in point B) (wind). How to recover gradually the number of green certificates is established by ANRE delayed by secondary legislation. 2. Accreditation by ANRE of the new power plant is made up to the total annual value set out in the National Action Plan on Renewable Energy (NREAP). If the threshold is reached, shall cease accreditation plants. 3. Energy producers in plants up to 5 MW are under the ordinance can conclude bilateral contracts for electricity trading.